Cozy apartment near Victory Park.Bright. 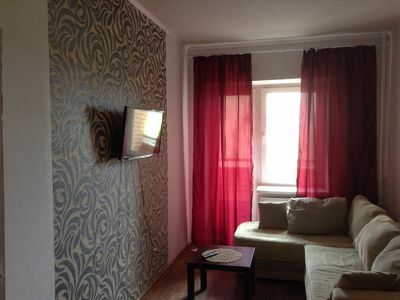 The apartment is fully furnished and equipped with home appliances. There are all utensils for cooking, serving. Fresh linens and towels. Unlimited Internet, Wi-Fi. Plasma TV . All utensils, refrigerator, kettle, washing machine, clothes dryer, hair dryer, iron.